Here is something cool that happened in College Algebra today. We were doing a short thing to summarize our domain and range work before moving on. 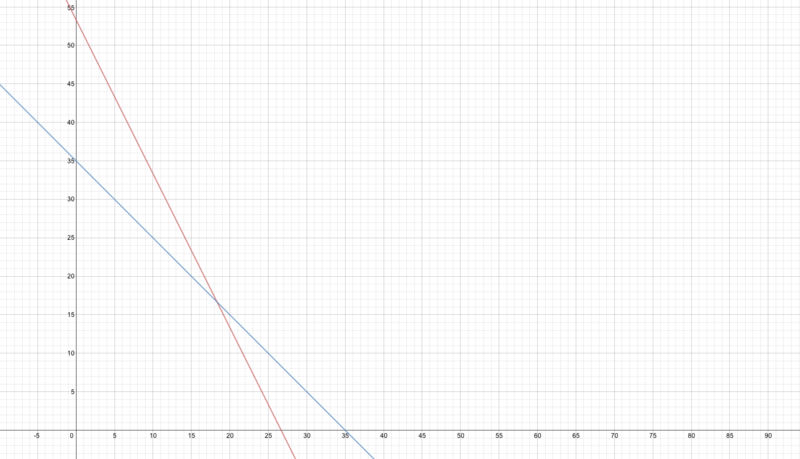 A student asked, Is the only way to find range to make a graph? This stopped me in my tracks. I had not really thought about the knowledge I draw on when identifying the range of a function, and the question cut to the heart of the matter. My gut instinct answer was yes. But I wanted to explore that a little. I concocted a silly function to do so. . I wanted to say that I would need to graph that to know its range. But the longer I looked at it, the more clear it was that I knew a lot about this silly thing without graphing it. The term dominates, for instance, in the long run, so I know it goes to infinity on both sides of the y-axis. I could see that 0 is in both the domain and the range. But I wasn’t 100% sure whether there were any negative values for the function. Later in the day, this got me thinking about end behavior. This is why we teach that end behavior silliness, right? It’s not about end behavior, it’s about knowing what values can come out of a function, and having a basis for knowing this. I am brainstorming here. The point is that the student question showed a sign of her learning, and it pushed me to rethink something too. Win-win. Another cool thing happened, too. We were comparing and , looking for sameness and difference. I had to push to get domain and range on the table. We agreed that the two functions have the same domain—all real numbers. We were split on whether they have the same range. But not for the reason I expected. Not at all. A student argued that The only time when they are the same is when x=2. Therefore they do not have the same range. My students found this argument compelling. Ignore the second intersection point in the left half-plane. Focus on the essence of the argument. Do these functions have the same range? is interpreted as Do these functions intersect? That seems like a useful insight into the mind of a College Algebra student. I can’t quite decide whether this is a Truly Unfortunate Representation of Data. Help me out here. The following is from an Educational Researcher article on the alignment between the math and English/language arts standards of various states and those of the Common Core State Standards (about which, more here). What this means is this, Because the data is categorical, we could really have put them in any order we like. As a consequence, any patterns (any patterns!) 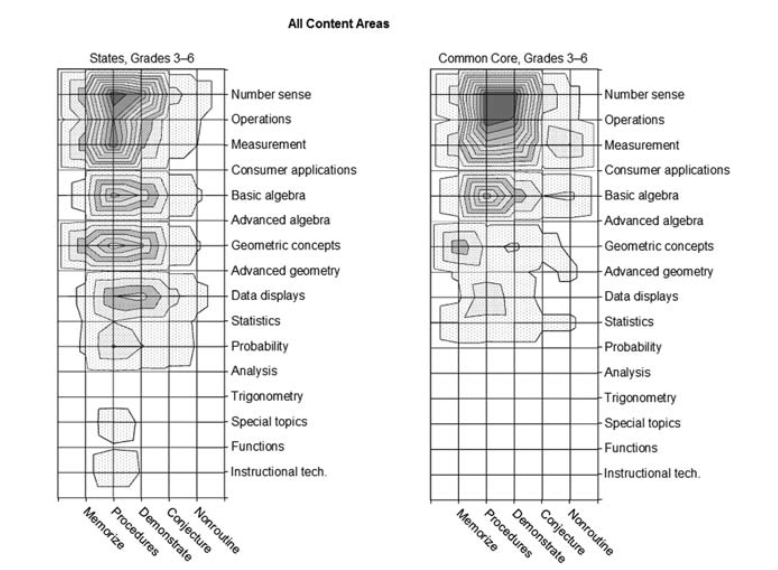 we see within each graph are simply artifacts of the order we chose. This smacks of TURD to me. But I stand ready to be convinced. Any takers? Porter, A., McMaken, J., Hwang, J. & Yang, R. (2011). Common Core standards: The new U.S. intended curriculum. Educational researcher, 40, 103—116. Finally! A use for the point-slope form of linear equations! I’m a slope-intercept man, myself. That’s what you really need in life, right? 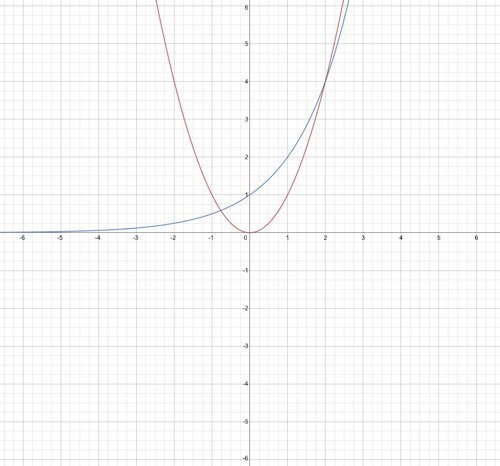 The slope is the rate, the y-intercept is the starting value. What more information could be necessary? But the other day I needed the point-slope form. Here’s why. The textbook I am using for College Algebra introduces difference quotients at the end of a section on operations on functions. It doesn’t flow and I don’t get why it’s there, but it is. So I want to give my students the best possible chance of making sense of the topic. So I decided to cook up a dynamic graphical demonstration using the software Fathom. I have written about other uses of Fathom elsewhere, notably in an article about Fathom’s power for investigating experimental probabilities. In this case, I was using it to graph a parabola and a secant line to the parabola so that I could move one of the two intersection points back and forth while leaving the other point fixed. I arbitrarily chose (1,1) for the fixed point. The video below is a crummy little screen capture, but it gives the flavor of what I wanted to do. 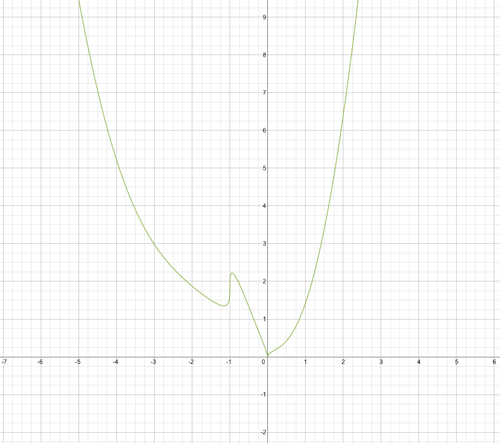 The function itself (the parabola) was easy enough to plot, and I could use the slider to move the intersection point back and forth on the curve. But how was I going to define that line? Slope intercept form assumes that I know the slope (which is going to change as the point moves) and that I know y-intercept (which is also going to change as the point moves). Indeed figuring out the y-intercept seemed like it was going to be a hassle. I don’t have time to try, but I sense that this simple equation would have been harder to derive by starting with the y-intercept form.